Go (knee-)high or go home. 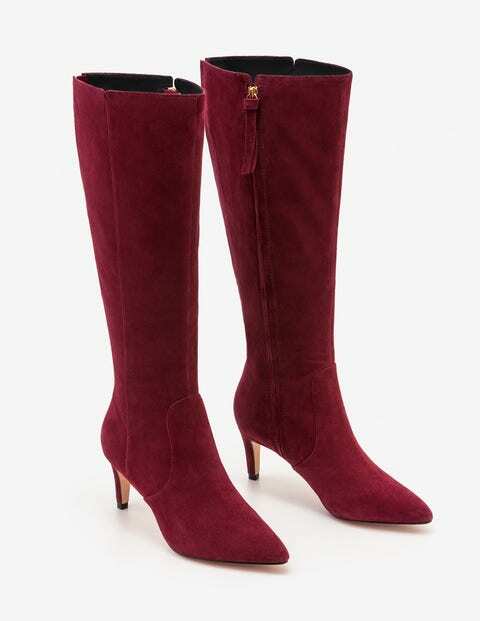 These sophisticated boots, made with buttery soft suede, have an elegant heel to add a little extra height, while remaining comfortable all day and night. A smooth leather lining and hidden elastic at the back of the boot make them easy to slip on over your skinny jeans or under a dress.